By Steven Lin - Sports Editor · January 26th, 2019 at 12:12 p.m.
After the two victories against the Griffins last weekend, the Heat are back in a position where they can make the playoffs. The final score came to 83-81 on Friday and 72-59 on Saturday. 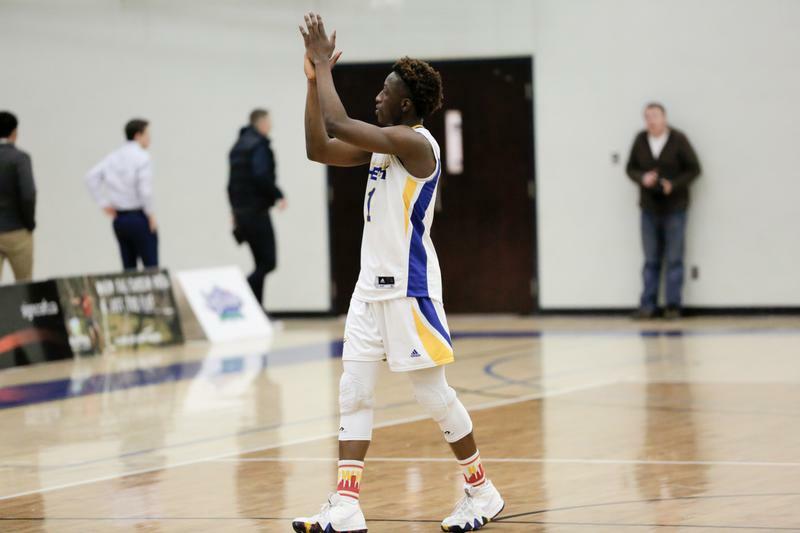 On Friday, the victory was attributed to five players who not only made double digit scores, but also contributed in total of 20 triples to topple the rival MacEwan. The two top-gun shooters are Philip Okanlawon and Triston Matthew. Guard Philip Okanlawon and guard Triston Matthew together made 11 three’s, contributing to more than half of the total made triples. Okanlawon finished the night with a high of 22 points and grabbed seven rebounds. Matthew scored 21 points with seven rebounds as well. Aside from the hot-handed shooters, Heat captain Aldrich Berrios and Point Guard Hafith Moallin executed the flow and pace of the ball movement with both players contributing a total of 15 assists. Berrios had a near-triple double performance, finishing the night with 15 points, seven rebounds, and seven assists. Moallin finished with 11 points, and dished out eight assists. Guard Jarret Larsen contributed 10 points with only 14 minutes of play time. The Heat carried the strong momentum from Friday to the following game day on Saturday, taking on a strong 25-9 lead in the first quarter. The large scoring gap in the first quarter was decisive as the Griffins failed to take on the lead in rest of the game. The important victories have helped the Heat to be back in a playoff position. The Heat are currently standing in the 12th spot with the Mount Cougars; each team has seven wins and 11 loses. To secure the playoff position, the Heat (7-11) will have to win their last series match against the Victoria Vikes (6-10) this weekend on Friday at 8 PM and on Saturday at 7 PM. This weekend will be the Heat men’s last series match of the season. Students are highly encouraged to come and cheer for the Heat, who are prepared to fight for their position. April 5th, 2019 at 11:30 a.m.
March 27th, 2019 at 10:48 a.m.
March 26th, 2019 at 1:09 p.m.